It is a beautiful historical building complex located in the centre of Ubud Bali. The complex (or most of it) was established in the 19th century after the 1917 earthquake and is still home to the royals of the city. The stunning structure will take you back in time when the stone carved buildings were still so much in vogue. A detour in the palace ground will let you witness traditional designs and symbolisms spread throughout the building. There is a private temple called Pura Marajan Agung in the premises too which is the sacred praying place of the family. The whole building was structured by I Gusti Nyoman Lempad, a local artist who is known for his finesse. Come to check out the vast surrounding and the rituals that take place within the ground. If you are visiting in nights, you may also witness the dance performances that are held here. Attractions like Tanah Lot Temple, Tirta Empul, Mount Agung, Mount Batur and Bali Bird Park are the usual crowd pullers of Bali and you might easily miss out Ubud Palace amidst these top things to do. You can add cozy hotels in Bali like Gatra Ubud Inn, The Peacock Inn, Kampoeng Joglo Abangan and Bije Sari Suite Bisma. Ticket prices for performances may differ. How popular is Ubud Palace? People normally club together Gunung Kawi and Legong Of Mahabrata Epic while planning their visit to Ubud Palace. Yeah... This place is filled with cultural stuff. I think it is an eye opener to discover it and many angles u can take photos here. Nevertheless there are lots of people around. Be ware of pick pockets as it is crowded. At the back, there is also a toilet. So u need to pay 2000 rupiah to enter. Not that clean. Won't recommend the toilet to ladies. Guys are OK. Overall a pretty good place to discover. Lots of motorbike around the area. Good place to pass by and have a look. Was fortunate enough to meet a guy who took us inside where the actually lived and showed beyond general public admission. Situated right in the middle of the city centre it can be accessed easily. Theres hardly parking if one is to drive there. A scooter or a walk there is highly recommended. Beautiful place to learn about culture. A visit to Ubud is not complete without visiting the Ubud palace. It is located in the centre of Ubud town, and it's totally free entry for all. Do not be fooled by the entrance ticket stand, they are there to sell the dance shows, it's not a ticket stand for entering the palace. There seems to be dancing and music entertainment most of time. And it attracts a lot of crowds. 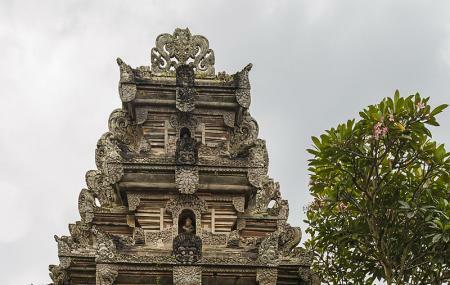 Only a small section of the whole Ubud palace is open to the visitors now. But it sure is a beautiful place to be. As always in a crowded place, it's always recommended to keep an eye on all your own personal belongings.